I must say that every since August of 2012 (Oprah Interview), I waited to see if Chris & Rihanna would be able to truly find their way back to each other. It seems they did. Chris has been quick to say in recent interviews that he was glad to have her back in his life, and that they indeed are a couple. Yet, things have been OFF to say the least. 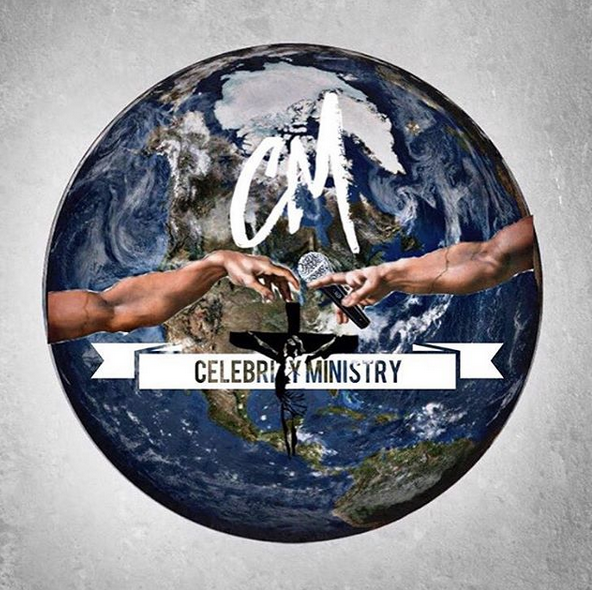 Now let me say right now ...I have NO inside scoop on there life, but it's not what CelebrityMinistry is about...it's simply about praying for these artist and looking at what they are giving to the public. In the above pic, (allthefinerthingsinlife..who says they are friends with CHRIS not necessarily rihanna) speaks out to a degree on what's happening with the couple right now...being that the Chrianna fans are having a fit since Chris unfollowed Rihanna on twitter 2 days ago. My problem with some of these answers is that they suggest that Rihanna has a drug problem that stems farther than her island roots of weed smoking, but to possible much harder drugs. I cannot say yea or nay..but to put that suggestion in the air to the people who actually think of this person as a reliable source oh boy! The fact that Rihanna (as big of a superstar as she is) keeps her life on display, Almost seemingly hiding nothing...and is to the point of next level drugs...what's really going on? Right here it's suggested that Rihanna doesn't just smoke weed. Now I understand Chris is this persons "friend" so protecting him is #1 priority, even in the end if its true...telling the fans this I just don't know what to say. See this right here suggest that Ciara and Chris were intimate on some level. Now anybody can see that whatever this "problem" is that Rihanna has with Ciara is way deeper that the old fashion show police thing. Chris let it be known in the "Breakfast Club" interview that he & Rihanna basically put their cards all out on the table as far as who they slept with since the breakup. We also know that Bow has been emphatic about never getting back with Ciara..but that's why this small suggestion uh well y'all get it. Now the funny thing is I realized that Media Takeout visit this person page along with Chrianna tumblr page as a "source" for news..which is the ONLY reason that I hate to see this stuff on display. And yes I'm blogging about it..simply because I'm constantly pulling for this couple. And as a blogger this is where I express those thoughts. Yet I'm not friends with either of them. It's funny that Chris tweeted a statement about loyalty recently and everyone is assuming he talking about Rihanna, but honestly I think it's more toward the friends he has in his camp. Cause no matter what she's doing...the fact that she has allowed her name to become synonymous with his again (and trust me I love Chris) letting people know its okay to love him again, says a lot. And I believe that Chris has shown that. So if this breakup is for real, and lets say its for all the reasons stated by this person...as her best friend..he doesn't have to STAY, but he needs to see her through this so that she doesn't truly demonstrate LOVE WITHOUT TRAGEDY! Pray for your favorite celebrity right now! Because you have no idea what they endure on a daily basis. Money does not fix hearts/minds! And no superstar goes in thinking yea I'm going to do drugs until I tarnish my legacy and ultimately kill myself! The pressures of evil are real! That's why you can't SERVE God & money! It just doesn't work. And understand what serve means! I also know that the devil come hardest when something is a threat to his demise. Remember the devil number one tool that he uses is deception. It's a ploy to make us think something opposite of what God has already said, ordained, or put in place. It's the devil hope that we will SPEAK against that plan or purpose...remember he is the accuser of the breathren. So when we SAY something opposite of what God said or ordained...the devil goes before the throne and challenges God vs His own word saying: You said that they have what they SAY...and remember God holds His WORD above HIS name. So even if you "feel" that these two shouldn't be together...check the SOURCE..because God doesn't move based on our feelings! And remember if sinning against the One that love you was unforgivable...then none of us would be heaven bound, and Jesus would not have had to die in order to reconcile us back to the Father.